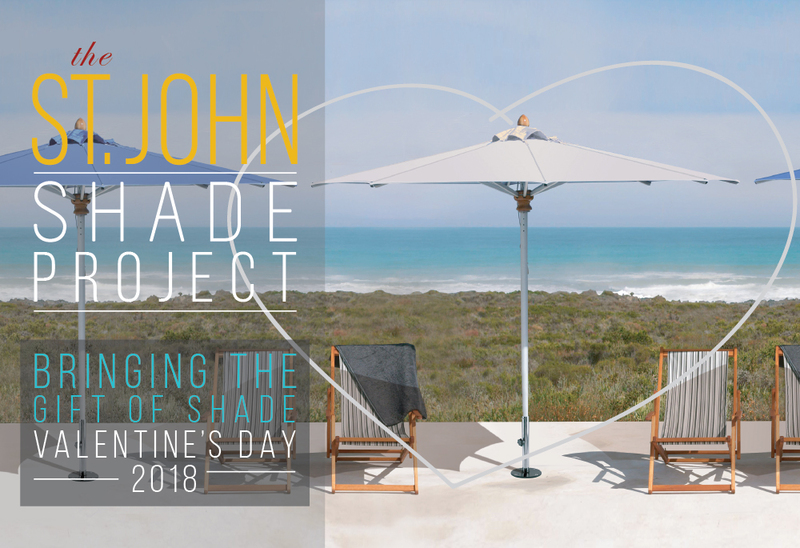 The St. John Shade Project will be bringing the Gift of Shade to the U.S. Virgin Islands this Valentine’s Day, delivering and installing 50 umbrellas to restaurants and schools on St. John. Named a Colorado Company to watch in 2017, ShadeScapes Americas is not letting its small-town home-base hold it back or stunt its reach. For Jo Edmondson, founder and CEO, it’s about community. Locating the ShadeScapes headquarters in Colorado’s rural North Fork Valley serves several purposes. Being able to locate in this scenic valley is reward itself for those that appreciate the slower pace, strong local ethic, small restaurants and cafes, and outstanding outdoor opportunities.The office and showroom is in a historic building the company was able to repurpose and update, bringing new activity to the town’s core. 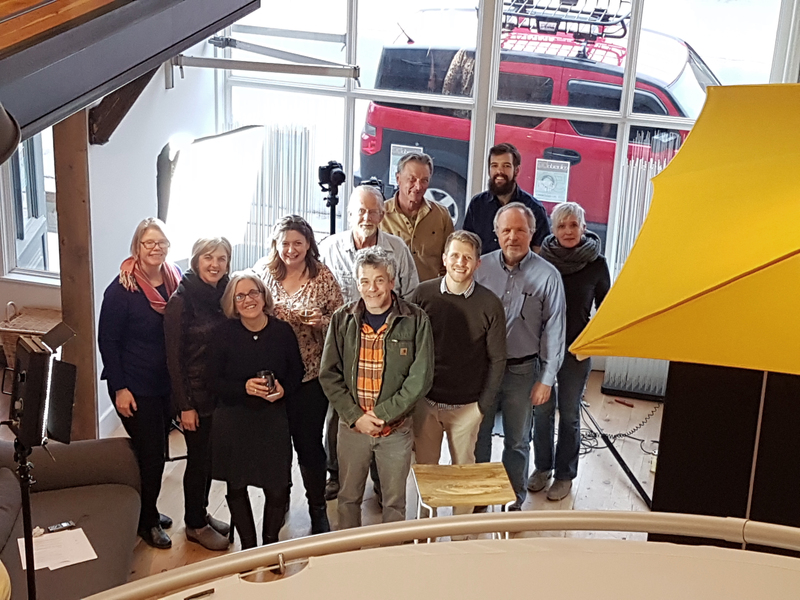 St. John Shade Project team assembles in ShadeScapes Showroom to prepare. After the hurricanes Irma and Maria battered the Caribbean, the many small businesses there were left wondering how to recover in time to welcome back tourists and keep their employees working. Jo’s own history in the U.S. Virgin Islands provided an opportunity to put the company’s philosophy into action outside the valley. “ShadeScapes Americas is bringing 50 umbrellas to island restaurants and schools. Originally, the company committed to donating 30, but found the need to be much greater and decided to cover the cost of bringing more umbrellas by donating 25% of the company’s outlet sales back to the project. ShadeScapes is handling all the logistics of getting the donation to the island, has recruited volunteers from both St. John and Colorado, and will install all of the umbrellas during the week of Valentine’s Day.” A list of some of the recipients can be seen HERE. The St. John Shade Project is about one small community reaching out to another, peer-to-peer, as one small business helping other small businesses. The slogan of the Shade Project makes the case that every company, no matter its business, and every community, no matter the size, has a way to give back. For ShadeScapes, shade was the clear choice, as is the connection made through one community sharing with another. The U.S. Virgin Islands will need help to rebuild and get back on track after the dual blows from the 2017 hurricane season. Some of this help will need to come from the United States government. But there are lots of ways to connect, acting like sister communities, though mutual support and friendship too. How does the St. John Shade project work? • ShadeScapes Americas’ staff and volunteers will be on the island from February 6-18, 2018 to install the donated umbrellas at local restaurants and schools. ShadeScapes founder and CEO, Jo Moniak Edmondson, visited the island in December to identify recipients. And since, has been working remotely to collect specific needs and measurements for each of the 22 locations. • Stories of the recipient businesses, partners and volunteers are being told on the Gift of Shade website and shared on social media.